Women’s Care of Lake Cumberland provides comprehensive healthcare for women. Our reputation as a community leader in obstetrics, gynecology, infertility, and urogynecology derives from our uncompromising commitment to excellence. With over 43 years of combined experience, Women’s Care of Lake Cumberland Board-Certified Obstetrician/Gynecologists and Women’s Nurse Practitioners offer our services in a safe, compassionate, and emotionally supportive environment. We are pledged to patient education and the use of best practices in the delivery of specialty and preventative healthcare. At Women’s Care of Lake Cumberland we have been providing the best obstetrical and gynecological care possible for the women of Somerset and surrounding areas since 1987. Communication and customer service are the cornerstones of our health care approach. You deserve a provider who really pays attention to your concerns; one who communicates with you to provide the best individualized medical care possible. We are dedicated to providing our patients with the best experience possible. We truly listen to each patient and address their individual needs. We provide a personal approach, treating patients as we would expect our family members to be treated. Women’s Care of Lake Cumberland is a part of Cumberland Family Medical Center, Inc. a Federally Qualified Health Center with community health center locations throughout south central and a portion of north central Kentucky. 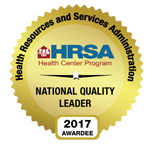 In December 2014, CFMC, Inc. was recognized by the Department of Health & Human Services as ranking among the top 1% of community health centers in the U.S. as a National Quality Leader. Cumberland Family Medical Center, Inc. is a non-profit 501(c)3 corporation, established to assure that residents of our service areas have access to high quality primary and preventative health services regardless of ability-to-pay. Our commitment is to the promotion of a healthy lifestyle, efficient and caring service, and the overall well-being of the area and the people we serve.